They say life doesn't give you anything you can't handle. But that doesn't mean you have to handle it alone. 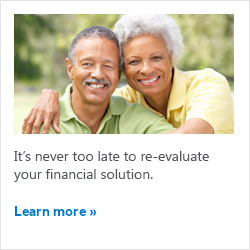 These days, it's more important than ever to make sure you have a proven financial professional by your side, someone who can help evaluate your needs, assess the current economic landscape and recommend a plan of action that will help protect your family's wealth, lifestyle and dreams for the future. Together, Fred and Erick Barone have over 45 years experience with New York Life and its products and services. They can put that expertise to use for you in helping you to identify what steps to take to meet your financial goals, and they can offer you the continuity you want going forward. Let's get started. There's no better time than now. Barone Financial Group — come grow with us.